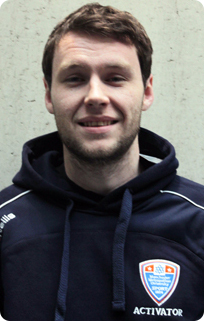 We’ve asked one of our Manchester campus activators a few questions about why you should get into sports at MMU and also about his role as an sports activator! What made you become an activator? I wanted to be able to get people who never participate into sport and also promote how the combination of good nutrition and activity plays an important role in your life. What do you love about sport? I love the social opportunities that have come through playing sports. Not only have I made new friends but I have been given the opportunity to discover more of the world. Why should people get involved with sport at MMU? Getting involved in university sport is a great way to meet new people from other courses as well as providing new opportunities to compete in a large variety of the sports that the university offers. My greatest sporting memory has to be watching the 1999 Manchester United game where we beat Bayern Munich 2-1. You can meet Mark by heading along to our FREE active campus football session on a Monday and running every week! To find out more click here! Next Meet our Activator…Jodi Ventre!